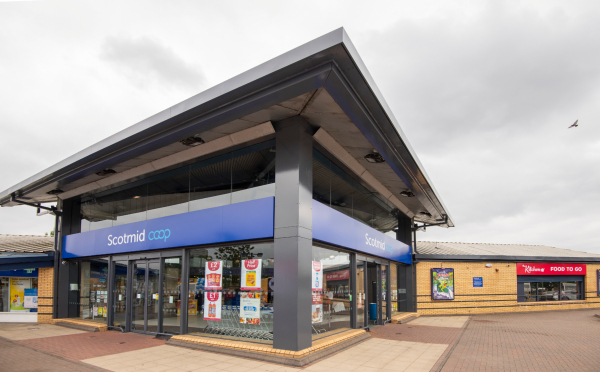 Scotmid Co-operative are set to mark their 160-year anniversary by opening the doors to a new state-of-the-art purpose-built convenience store in Drumnadrochit in January 2019 – continuing to lead the way with a modern and environmentally friendly design. With remodelled stores already unveiled in Moredun, Bankton, Uddingston so far this year and additional work planned for the Newtongrange store in November, Scotmid have utilised the latest energy efficient technologies to reduce its environmental impact with refrigeration pinpointed as a key priority. 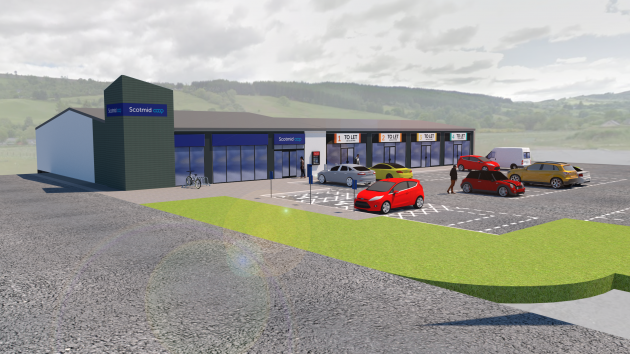 Now Scotmid, who were formed in 1859 as St Cuthbert’s Co-operative, are preparing to unveil a new purpose-built 4,500 sq ft store in Drumnadrochit in the New Year, as part of a five-unit complex, situated beside Loch Ness. All the new-look stores have featured fully glass fronted facades to maximise natural daylight entering the buildings plus the stores’ electrical lighting systems are made up entirely of LED fittings, which are over 50% more energy efficient than traditional lighting systems. At the centre of the modernised stores are the new refrigeration cabinets and a clear focus on saving energy, which was identified as a key strategic priority. The Hauser manufactured cabinets are being rolled out as part of a 12-year strategy that will ensure that Scotmid will comply with EU F-Gas Regulations and meet the 2015 Paris Climate Change Agreement. The cabinets are manufactured in a modern dark grey finish, have doors and the latest in-built technology. In addition, Scotmid is continuing to roll out a Food to Go offering across all 180 food stores in its estate. 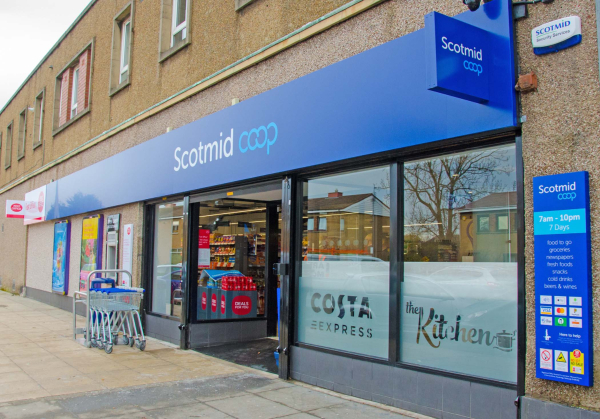 This programme of work will see Scotmid’s popular “Kitchen” stores revamped and also the expansion of the range of Food to Go products across many of the stores. Customers are at the heart of the new purpose-built Drumnadrochit store, which boasts a brand new tailored architectural structure and spacious lay-out, offering an enhanced shopping experience – something Scotmid are eager to launch. Maurissa Fergusson, Scotmid’s Head of Property and Development, said: “We are extremely excited about our new Drumnadrochit store, which represents the future of Scotmid. “In our anniversary year, this represents another milestone for us in providing convenience stores to match the demands of an ever-changing marketplace and the expectations of our valued members and customer base. Image: A visual of how the finished store at Drumnadrochit will look upon completion in 2019.